You are here: Home / Great Deals / How To Have It All! Today, I wanted to reach out and ask y’all to help my friend Renae get her Facebook page built up! 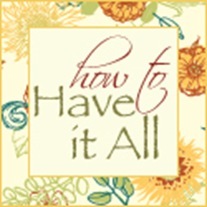 Renae, formerly of Madame Deals, now blogs at How To Have It All and her Facebook page is also called How To Have It All! Renae is a working Mom and blogger who is all about balancing work, raising kids and saving money! So, please go “like” her Facebook page and Check her out now! Thanks!